Mistakes are part of the learning process, they say. We have to go wrong in order to get better. However, it is safe to say that in chess everybody prefers to avoid mistakes, or at least make as little as possible. It can be frustrating to see how a good game turns into a nightmare in only one move. 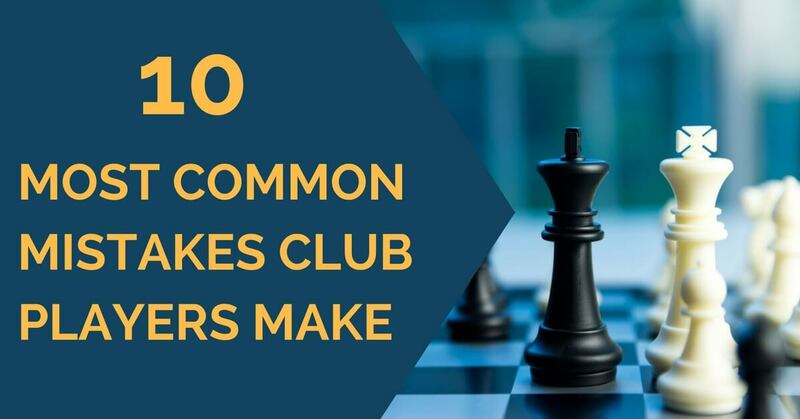 It takes a lot of hard work to lessen (if not completely make disappear) such moments and even so, the inevitable might happened to anyone, from club players to strong Grandmasters. A moment of carelessness or simply a bad day at the office is all it takes. In this article, we are going to make a short list of what we believe are the most common mistakes that amateurs tend to make in the hope it will help you improve your overall results. Here we go. White has just played 16. Qd2, apparently planning to castle long. Black probably didn’t look further here and answered with 16…Na6?? which loses on the spot. Can you find the right continuation? Sometimes, the assessment of the position and, as a consequence, the moves chosen, are not always based on objective thinking. When faced a Grandmaster, even better a famous one, many club players tend to trust their rival a little too much. Thoughts like “he could not have missed this” or “I can’t be better here” or “he must have seen something, this line probably doesn’t work” come to mind and the best continuation is this way missed. Anyone can have a bad day or simply overlook something, so play every game with calm and trust your instincts. Treat every game equally, no matter if the person standing across from you is stronger or weaker than you. Pawns are the only pieces that can’t go back, so we should always think twice before moving them. They leave behind weaknesses and stronger players usually make good use of them. Improve your pieces first, make sure they are placed on ideal squares and only then support them with pawns, if necessary. Most people like to attack and we also see it often in our students’ games. It’s nothing wrong with that, but you must make sure that your attack is started at the right moment, otherwise, an over-expansion might weaken your position too much. Always pay attention to your pieces and prepare an eventual attack. As we often say, it is important to ensure that your pieces cooperate and have good squares and only afterward attack with the pawns. Many amateurs think that if they exchange all the pieces, especially against stronger opposition, this will guarantee a draw. False! It is important to assess the position and make the right exchange every time; think what pieces you need to keep and which ones are better off the board. Do the same with the opponent’s pieces; try to exchange his good and active ones and leave him with the bad ones. It is usually a mistake to try to suffer passively; we see many times that amateurs try to set up a blockade and accept a worse position that they have to defend, thinking that the opponent won’t have any ways to break through. Even if, supposedly, with correct play, this might be true (although it rarely is), it is very difficult for humans to play under pressure for a long time. A computer might find all the right moves and hold the position, but this is almost impossible during an over the board game. Always look for the active moves and try to keep the position balanced! You might have noticed that at times Grandmasters simply ignore the possibility of getting a material advantage when they have a much better position. They usually do so when they consider that this would give the opponent “life” in exchange. So they prefer to increase the pressure and keep the opponent in an uncomfortable position. 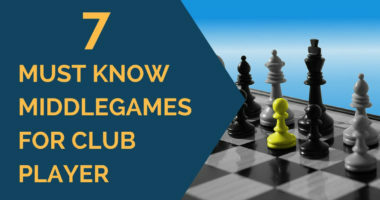 Doing the opposite is a mistake that many club players do; a pawn or an exchange, for example, is not so important anymore if the opponent has taken over the initiative and the position has become unclear. Whenever the center is in tension, the right strategy is to maneuver until you find the right moment to get to a favorable pawn structure. 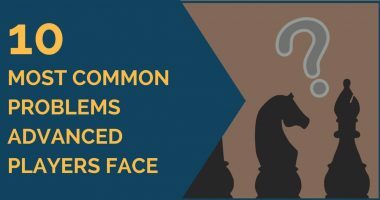 Most amateurs release the tension too soon, before improving their pieces, thus making it easier for their opponent or simply entering a worse position. When evaluating a position always pay attention to thing such as the safety of kings, the tandems present on the board (bishop pair, knight, and queen, etc), the pawn structure and choose a plan accordingly. For example, if the opponent has the bishop pair, then you should keep the position as closed as possible and not venture into an attack that will open the position and give your opponent a great advantage. Very often club players don’t pay enough attention to the development of the pieces and the impact this has on the position. Development is usually the answer to most problems. 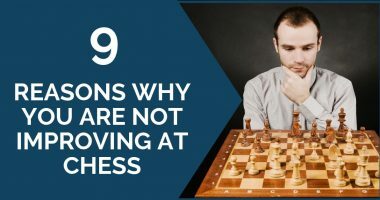 Improving the position of your pieces is another thing you should be constantly looking for during your game.